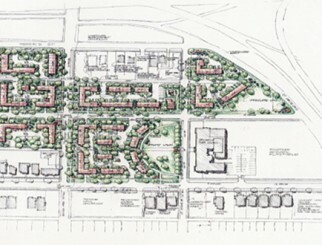 The Reserve at Island Lake Phases 7A, 7B, and 7C is a 74-unit, single-family detached residential site condominium project located on 40.68 acres at 10 Mile and Wixom Roads, Novi, Michigan. Developed by Toll Brothers, this resort-class community envelops a 170-acre private lake with an impressive clubhouse and top-shelf amenities. Lakeside living provides beautiful views for residents, but can present unique challenges for water management. Making sure water stays in the lake and does not leak into basements requires level thinking – and adequate drainage. Large subdivision construction problems, the sizes and lengths of pipes, along with the design and dimensions of the roads and home sites called for careful planning. SD was chosen for its extensive experience keeping water in its place by directing it elsewhere. Inspection and coordination of “de-watering” operations to install underground utilities was critical to the project’s infrastructure. 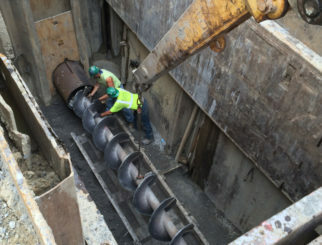 SD drafted guidelines for the underground utility contractor, as well as provided documentation for existing adjacent residents in case any water-related issues crested in the future. Creating a new community within our larger community is one of the reasons SD hung up its shingle more than 60 years ago. 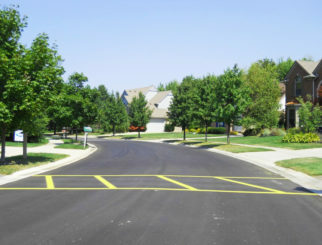 SD has worked on roughly 30+ subdivisions with the City of Novi. No matter where our home address is, we’re part of every community we’ve worked in.